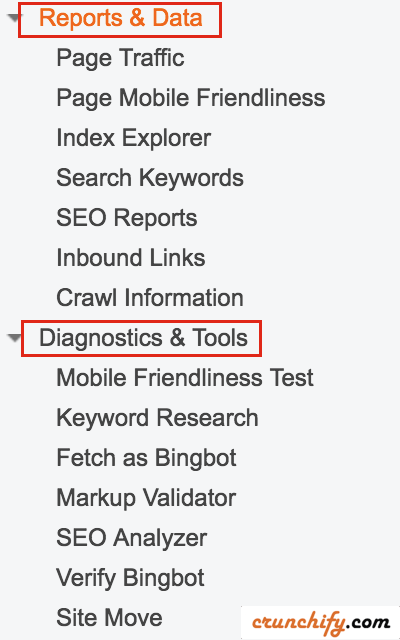 I’m a very big fan of Google Search Console (aka: Webmaster Tools). I have been using it since very long time, say almost 8 years. But let me admit, I ignored Bing for so many years. Even though I get only fraction of traffic from Bing Search result, it’s worth having Bing Webmaster Tools Account for detailed SEO reports. In last month, I have fixed 3 SEO issues which I only got it from Bing Webmaster Tools. Point I wanted to highlight here is, if you haven’t yet started using Bing Webmaster Tools then it’s worth using it now. This is a a Bloggers Guide To Use Bing Webmaster Tools to Improve your site SEO. In order to get started, please follow below steps. Go to Bing Webmaster Tools. You don’t need @live or @outlook email. You could signup using your personal @gmail or any other custom domain IDs. Verify your ownership using BingSiteAuth.xml file download and put it under your blog’s root folder. Add your sitemap.xml file and wait for few weeks so Bing could generate detailed SEO Reports. Checkout all results and make enhancements based on suggestion. What are the benefits? Why another webmaster tool? Bing webmaster tool provides nice dashboard interface. Google already provides number of different reports in Search Console, but it doesn’t hurt to get additional report from Bing too. New Diagnostic tools and reporting tools. Follow each links to get detailed reports.